Then, this is the perfect post for you! Maintaining your normal eating habits while away from your home can be tricky and stressful. When you travel, you have way less control over the avalible food options and will have to mainly rely on eating out (esp. if you are staying at a hotel). If you are visiting friends or family, you'll be dependent of what they serve. This switch can cause havoc on your digestion since you'll be eating differently than normal. The key to avoiding any discomfort is to stick to a few basics tricks, which is why I have listed below my top 5 tips to minimize travel stress (say bye to bloating!) and help your body stay happy while on vacation or at family get-togethers. 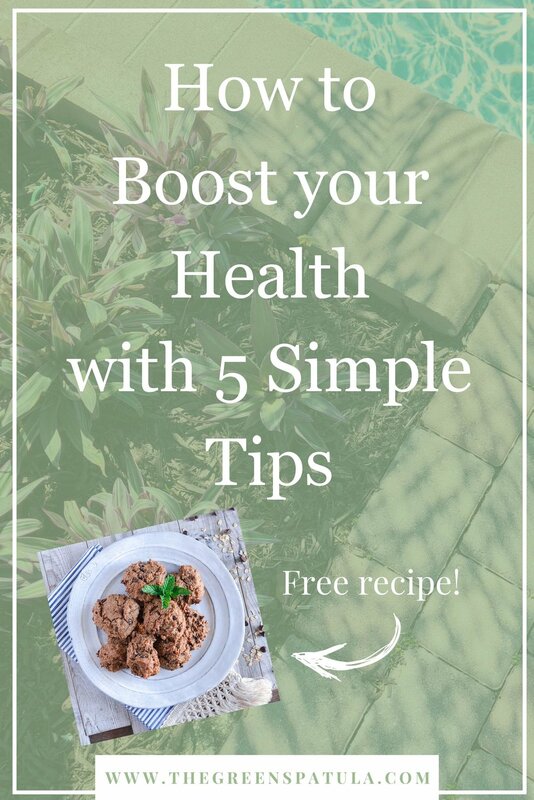 Enjoy all the foods your desire while still feeling your best with these 5 tips to healthify your summer! Drinking enough water during your day is the simplest way to feel your best. Hydration helps your system with everything from optimizing your digestion (hooray for #✌🏼) to helping you absorb the nutrients from your food. It's a miracle worker so aim to drink at least half a gallon a day or more if you are sweating a lot (coconut water is also a great source of hydration and electrolytes). You can even set hourly reminders on your phone to alert you that’s time to chug. TIP: Flavor your water! 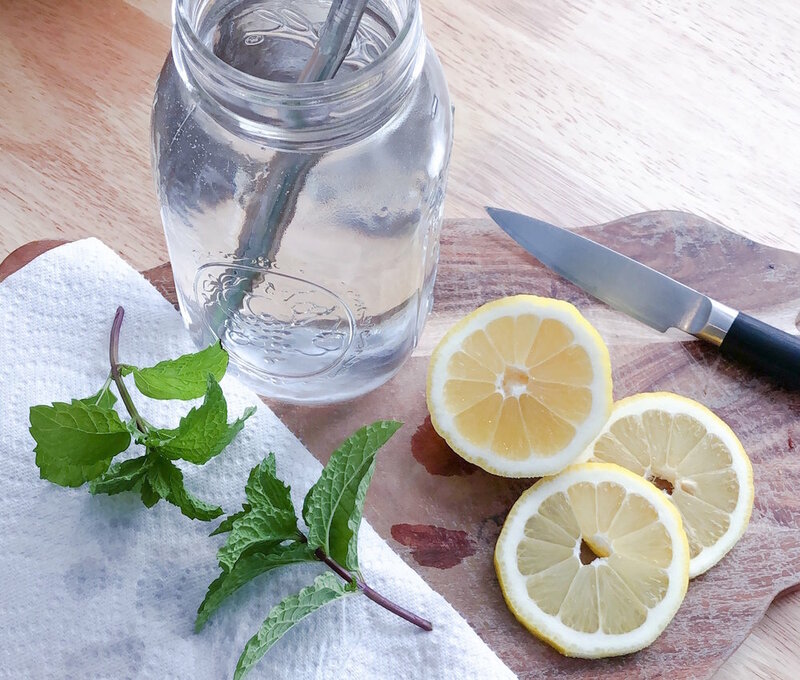 Add berries, pineapple, orange, lemon, or mint leaves to give your water some taste. To intensify the flavors, leave a large jug of water with the fruit to infuse overnight in the fridge. Experiment with different flavor combos to find your favorite. Mine is pineapple and mint! When it’s so hot outside our bodies need even more water to stay hydrate. Did you know that you can also hydrate your body through your food? Pretty cool right! Summer is the best time of the year for sweet fruits and colorful veggies so incorporate large salads, watermelon for breakfast, and dishes with fresh cucumber to increase your hydration via your food. If you suffer from a sensitive digestion (like me) these high water content ingredients will also help keep you regular while traveling. TIP: For optimal digestion, eat any type of melon (cantaloupe, watermelon etc.) alone and on an empty stomach. Melons are digested incredibly fast and when eaten with slower-to-digest foods, they stay in your stomach longer and can cause bloating and stomach discomfort. Eat a big bowl of melon as a pre-breakfast to hydrate your body first thing in the morning. A vegan and gluten free cookie that is soft, chewy, and far too delicious! Made with almond butter and oat flour. If you are traveling this summer, remember to pack your favorite snacks (store bought or homemade) with your swimsuit and sunscreen. Airports and gas stations don’t usually have the best options so, if you pack healthy items that you can easily grab, you’ll be far less likely to pick something less than optimal. If you are flying, make a batch of my chocolate chip cookies to take with you on the plane. They are hearty, delicious, and chocolatey as well as made with real ingredients. They will satisfy any sweet tooth. You can download the recipe by entering your email in the box below (refresh the page if it didn't show up). If you are staying in a hotel, swing by a local market or grocery store to stock up on water and more snacks. This will save you from ordering room service or emptying out the mini-fridge late at night when you have the munchies. TIP: Invited to a family get-together or a friend’s BBQ and are worried about the food options? Just bring something! That way, you’ll know there will be something to eat but make sure you make enough to share! If you bring my Smokey Chipotle Veggie Burgers, I promise people will want to try them. I saw this quote on Instagram and it has stuck with me ever since: “Your comfort zone will kill you.” A bit harsh? Yes. Is it true? 100% YES! Challenge yourself to do something slightly crazy this summer and step outside of your safety zone. Last month, while my husband and I were on our honeymoon in Denver, CO, we went rock climbing right outside the city. It was absolutely terrifying and exhilarating (there were tears of fear and joy when I finally reached the top)! Rock climbing has been on my bucket list for years and I am so proud that I was able to conquer that mountain and make it to the top. How will you challenge yourself this summer? Leave me a comment below! TIP: Check for any fun Groupon deals in the city you are visiting. It will show you the avalible options plus you can score a lower price! 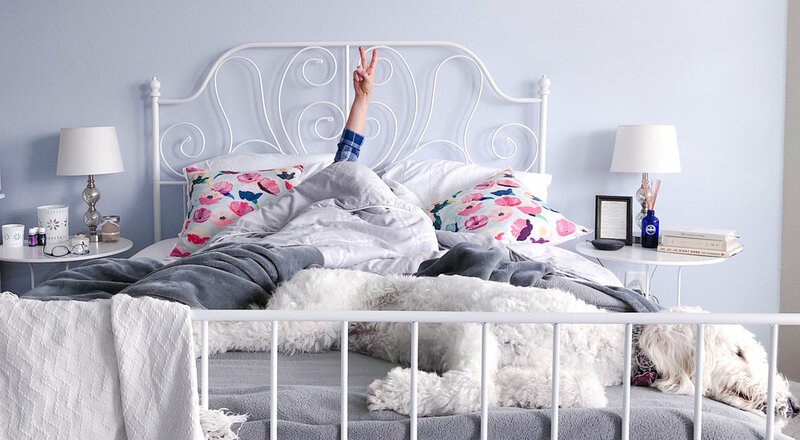 After being highly active on vacations, checking things off your bucket list, and overloading on family-time it's equally important to take time to rest. Your body will need as much downtime as possible after being away from your normal routine. Schedule yourself a few extra days to stay home prior to going back to work to ease into your normal routine. Give yourself a break from vacation. There is that saying “you’ll need a vacation from this vacation” for a reason! TIP: Got the post-vacation blues? Schedule something fun for when you come home so you have something to look forward to! A massage, a pedicure, or a fun date with your partner are great ways to minimize the sting of leaving your vacation AND helping you relax after being on the go for several days. It can be challenging to stay comfortable away from home if you are a creature of habit like myself (any fellow introverts out there?). I have found the easiest way to avoid any issues (especially those related to the bathroom), is to be prepared and these 5 tips are my go-to. They help me stay comfortable and regular so I can avoid any issues and fully enjoy myself on vacation. Let me know if you try any or if you have your own tips to share!